Since it opened to students in September 1951, Technical Vocational High School’s curriculum, which combines vocational training with related academics, has reflected the changing needs of a modern society. Its architectural design and materials meant Tec Voc was the height of modernity. Architect W. A. Martin combined two significant 20th century architectural styles: Art Deco and Art Moderne. Of all his school designs, Tec Voc is Martin’s crowning achievement. Carved in limestone over a Tec Voc northern side entrance are these words: “Knowledge without practice makes but half an artist.”. 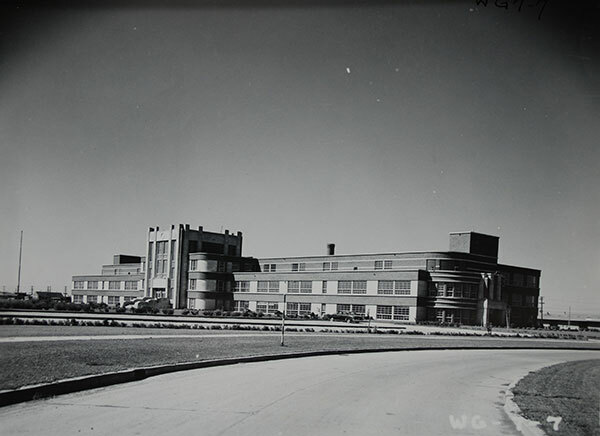 The grand facility was completed at a cost of $2.331 million and was officially opened by Lieutenant Governor R. F. McWilliams on 3 December 1951. 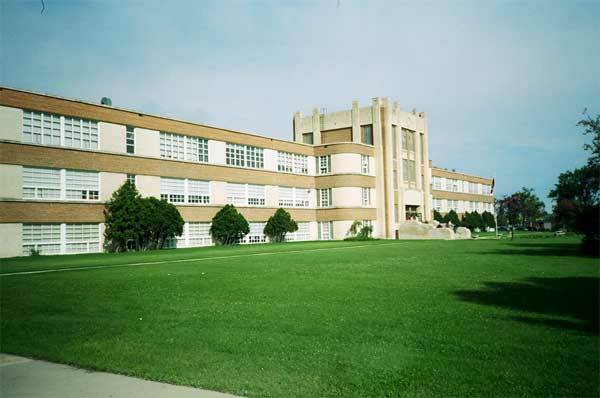 A southern wing was later added to the school to house the music and physical education programs and was both named and dedicated on 15 October 2004 as The Audrey Jones Field House, named Audrey Jones, a 35-year Tec Voc educator. From the outset, Tec Voc featured an innovative music program directed by Fred A. Merrett, who also wrote the school song. Gilbert and Sullivan operettas were presented annually and seldom did a parade pass by that did not feature the Tec Voc Marching Band complete with majorettes. A tradition of the Home Economics Department was the annual wheelchair banquet where Tec Voc students prepared and served a gourmet meal to disabled Winnipeggers. Tec Voc has produced dozens of teachers, engineers, professors and politicians. 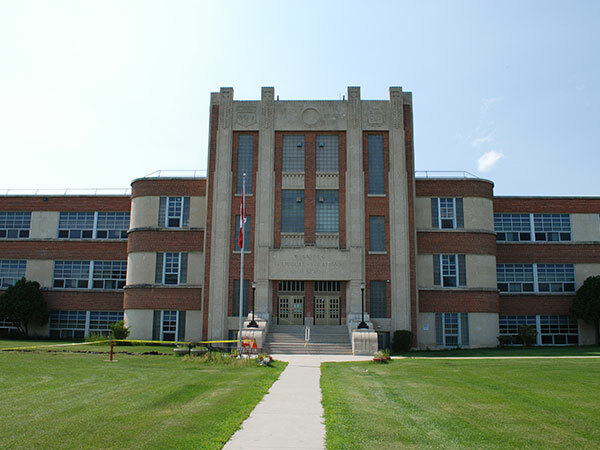 Notable alumni include former city councilors Norman Stapon and Al Ducharme, NHLer Cece Hoekstra, ventriloquist Bob Swartz who was TV’s Uncle Bob on Archie and His Friends, singer/comedian Pat Riordan, and former Winnipeg Police Chief Jack Ewatski. Miss Audrey Jones, Fred A. Merrett, ? Source: Archives of Manitoba, Government Photographs (CH 0267), GR10030, WG-7-7. “Winnipeg’s $2 million school to teach 10 crafts,” Winnipeg Free Press, 1 December 1951, page 6. “‘Tech-Voc’ opening doors Monday to receive public,” Winnipeg Free Press, 1 December 1951, page 6. “Special honour for Tec Voc’s Miss Jones,” Winnipeg Free Press, 13 October 2004, Neighbours Northeast Edition page 7. Obituary [Robert A. Leeson], Winnipeg Free Press, 21 March 1996, page C7. Obituary [James John Bruce Barrick], Winnipeg Free Press, 19 January 2000, page C7. We thank Amy Merrett for providing additional information used here.